Ash Content: 1.5 % Max. We are engaged in offering to our clients Carbon Bricks. The bricks offered by us are in compliance with the standards and are known for high crushing strength & thermal conductivity. Our bricks offer excellent resistance towards corrosion & thermal Shocks and can easily withstand the extreme temperature range. 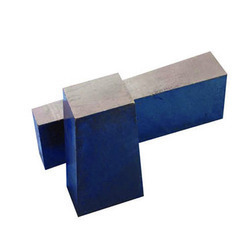 Carbon Bricks are used as linings in high temperature vessels and corrosive environments with acid/alkali attack. Carbon bricks can withstand most chemical attacks, high temperatures or sudden temperature changes, thermal shock associated with vessels of such conditions. Designed and indigenously developed by Maithan, this class of refractories is an integral part of Maithan’s ladle management solution. These are ideally suitable for wear zones in steel ladles such as impact pads, metal zone (bottom rings) etc. • Akirina Silicon Caib.d. Carbon bricks for Torpedo & Trend., ladle. At Himadri Chemicals, anode material is manufactured from coal tar using in-house technology. The manufacturing process involves coal tar treatment into specialised pitch, carbonisation, graphitisation and powder processing. All these process upto quality contol are conducted in our in-house facility. SSG (Standard synthetic graphite): In Li-ion batteries to power mobile devices and computers. 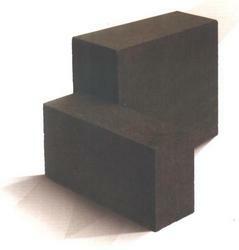 Magnesia Carbon Brick, Shape: Rectangular, Size: Size 9" X 4" X 3"
Size: Size 9" X 4" X 3"
We are manufacturers and suppliers of carbon bricks. Material: Activated Carbon with impregnation's as required by customer.